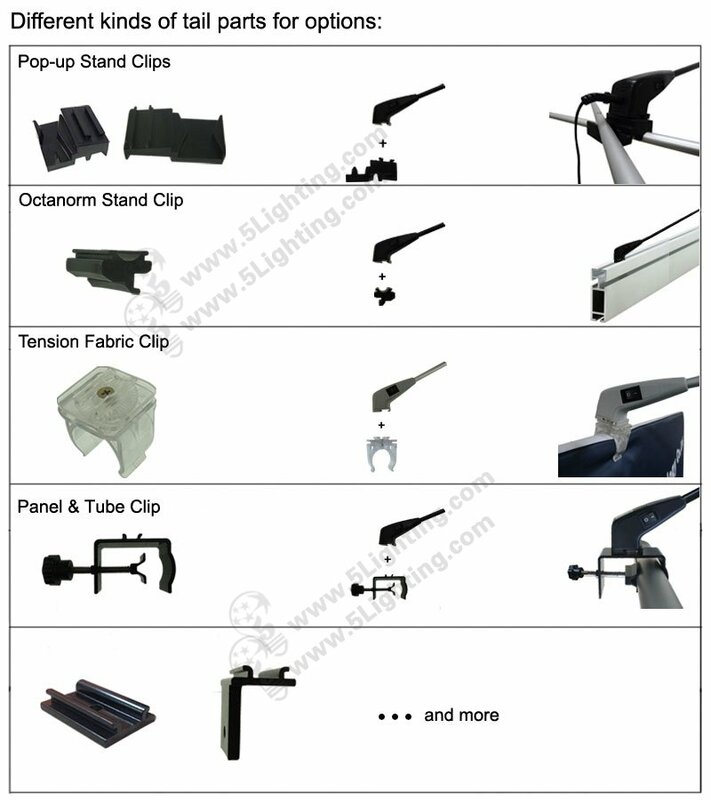 f): Easy for installation, it comes with a multi-function clamp of pop up halogen stand lamp , and this creative design make it can be easily fitted on pop-up stand, flexible enough to use in exhibition and several kinds of trade show display booth. 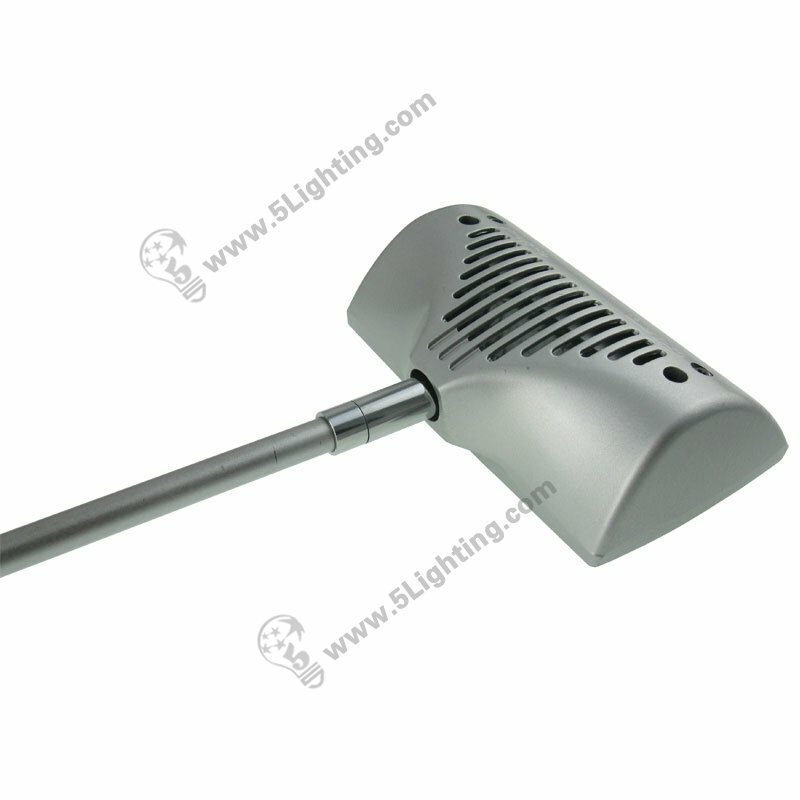 : Exhibit lighting: Trade show light, Pop-up display, Pop-up stand, Display booth, Show frame etc. 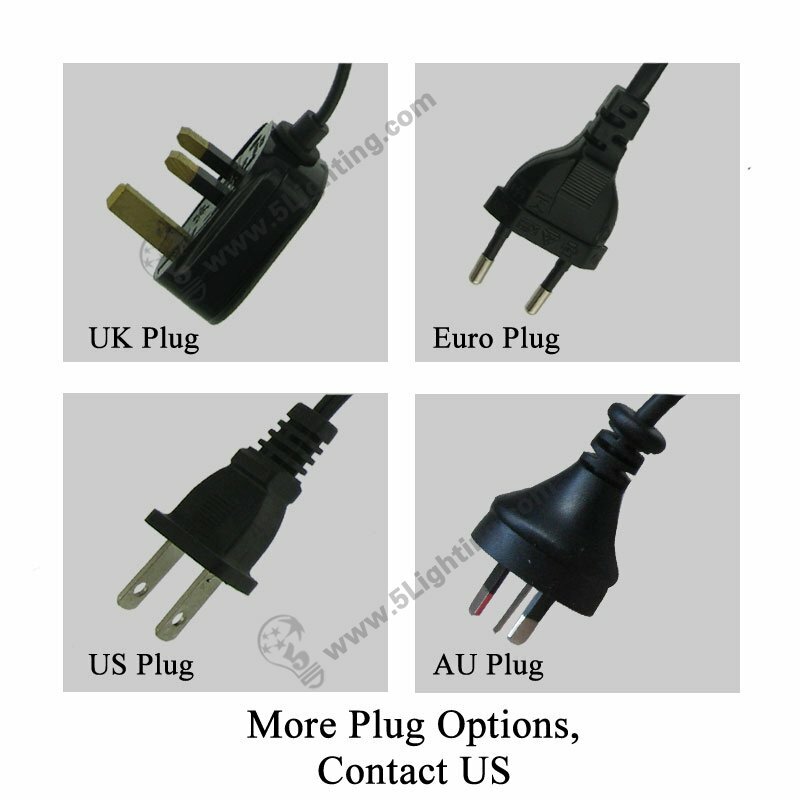 : Other display scenes: Billboard, Presentation board, Advertising area, flat panel etc. 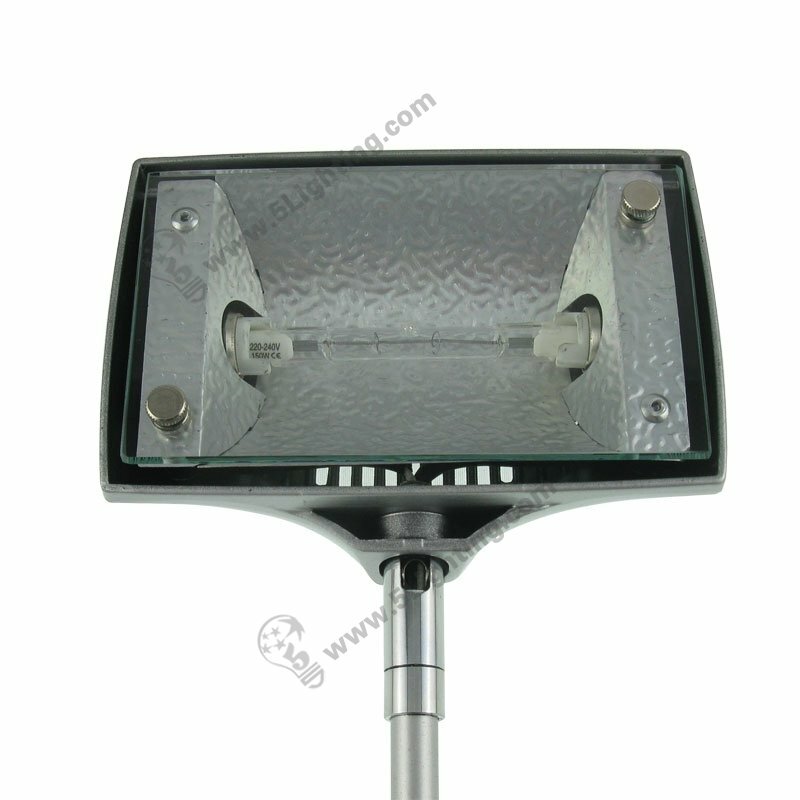 Great quality Pop up halogen stand lights 150w from 5 Star Lighting Factory! a): Use great material: ABS and metal. Two different colors for choice: black and silver. b): 150 high wattage, super bright. c): It has adjustable head for adjustment. d): It comes with a multi-function clamp, can be fit on pop-up. Click to see the other finish color choice.